- The OFFICIAL C25K® (Couch to 5K) program with millions of success stories! - Official partners and featured on FITBIT and SAMSUNG smart watches! - Featured on The New York Times, Los Angeles Times, The Washington Post, The Guardian, The Huffington Post, Men's Fitness, Forbes, Mashable, Glamour Magazine, Popsugar Fitness, CBS News, NBC News, Macworld, Cosmopolitan, The Verge, Lifehacker and many more! - Our community inspires one another (and inspires us!) everyday. Hear their amazing stories. The proven C25K program was designed for inexperienced runners who are just beginning an exercise routine. The plan's structure prevents new runners from giving up and at the same time challenges them to continue moving forward. C25K works because it starts with a mix of running and walking, gradually building up strength and stamina. ◎ 30 minutes a day, 3 days a week, 8 weeks total. 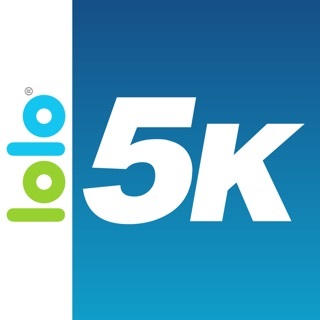 Millions have finished their first 5K. You will too! I got this to use with my 7 plus and my Apple Watch. First, it keeps prompting me to turn on motion and fitness settings every time I open it, even though I've checked and double checked that it is, in fact, turned on. The most annoying part, though, is that I don't get audible notifications in my headphones when the phone is locked and in my pocket. I have to have it unlocked to get them. I've made sure my phone is not set to silent. And even if I turn off the auto-lock, it still sleeps in my pocket because of the light sensors. I don't remember having this problem on my previous phone, or with previous versions of the app. Worse is the Apple Watch app. They take a long time to sync, and , most notably, if the app is running on my Apple Watch and my phone is in my pocket (how I ideally wanted to use it), I get nothing. Not a vibration, a sound, anything. I have to constantly check the timer while I'm running. The best solution I've found is to run the app on my phone, lock it and put it in my pocket, but NOT run it on my Watch. I will get push notifications on the Watch saying to run or walk. I don't, however, get to see the timer without pulling out my phone or opening the app no the Watch, which defeats the purpose. 2 stars because it does what it should IF you are willing to hold your phone unlocked for your entire run. Needs improvements. I'll be looking into other options. The app is easy to use. And it's like having a friend and coach by your side. The workouts are challenging yet achievable, so I want to keep using it. 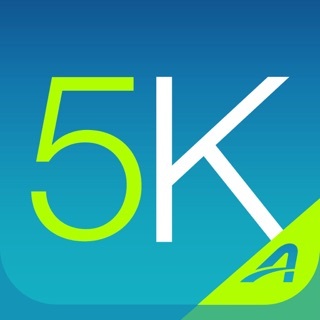 Because of this app I now enjoy running, and I appreciate it very much. I can echo the sentiments of the other reviewers, that the app keeps asking you to write a review even if you already wrote one. I don't think the makers of this app actually read these reviews (I think the reviews are more or less for the purchasers of the app), so I'm going to see if I can contact them about this. I hope everybody else does too, if they haven't already done so. I think the app is good, and it can be better if we just let 'em know what the issues are. Great phone app. Works extremely well and easy to use. Bought Apple Watch so I didn’t have to bring phone with me on runs. First run I left my phone in the car, turned on music and started the first workout. Did the 5 minute warm up, and started the jog. When I get like I was jogging for more than the minute, looked at watch and realized I was already 30 seconds into the walk. Unless I’m doing something wrong, there’s no audio cues when using the app on just the watch. You have to be looking at the watch exactly when it moves to next step to get a small vibration. If you’re not looking at watch the whole time, it’s useless. If I’m doing something wrong and you can get audio cues I will update review to 5 stars because this and the companion apps are great.